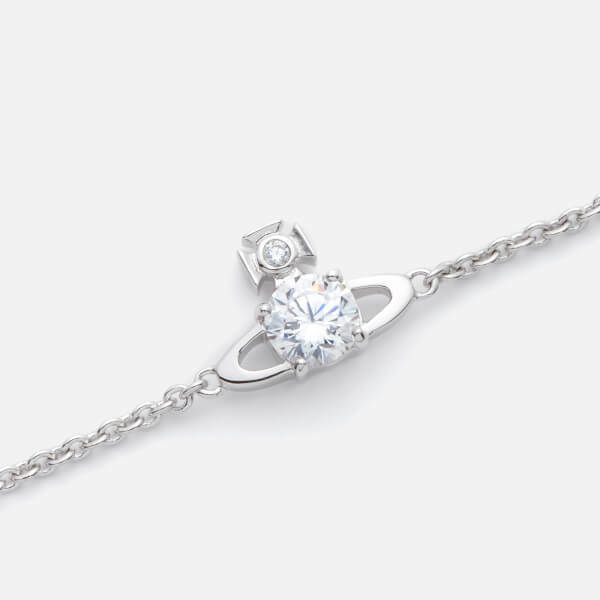 Cast in a flattering silver-tone, the ‘Reina’ bracelet features a cubic zirconium crystal embellished pendant in the shape of iconic British fashion house Vivienne Westwood’s timeless Orb logo. 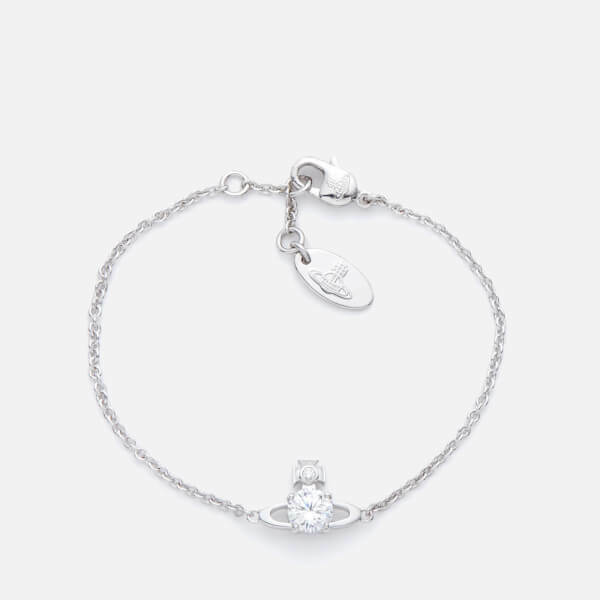 Suspended from a delicate silver-tone curb chain bracelet with three rings and a lobster clasp for an adjustable fit, the bracelet is crafted from rhodium-plated brass and features an oval-shaped logo-engraved plaque. 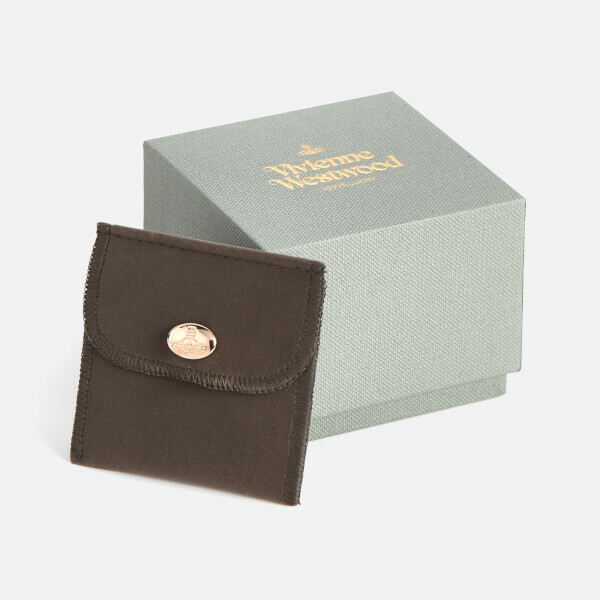 Presented in a sleek, grey branded box with a soft protective pouch. Chain Drop: 6cm. Orb Dimensions: H: 10mm x W: 15mm.